2 pc Set. 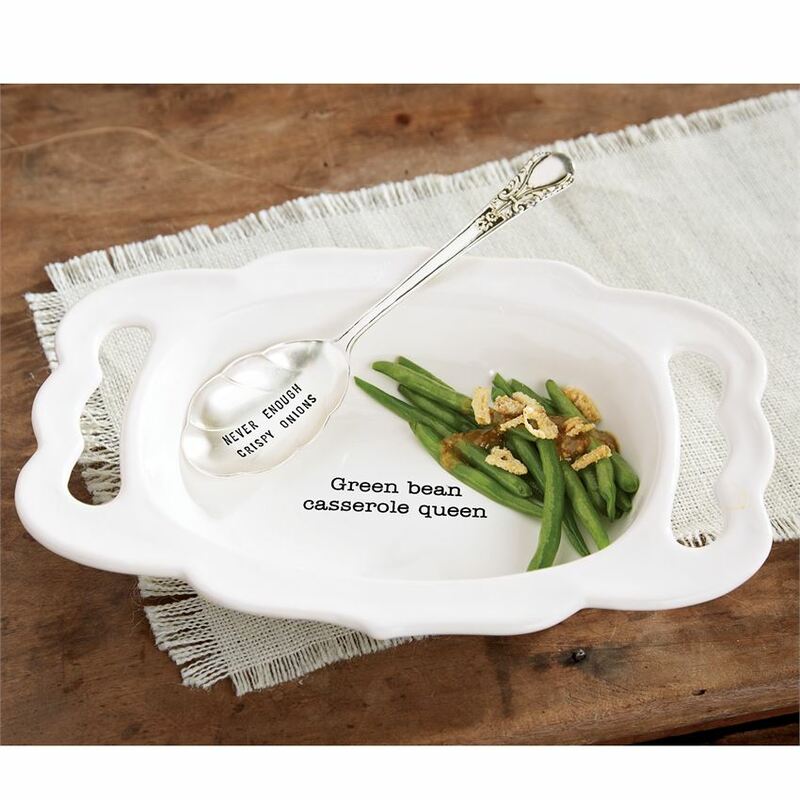 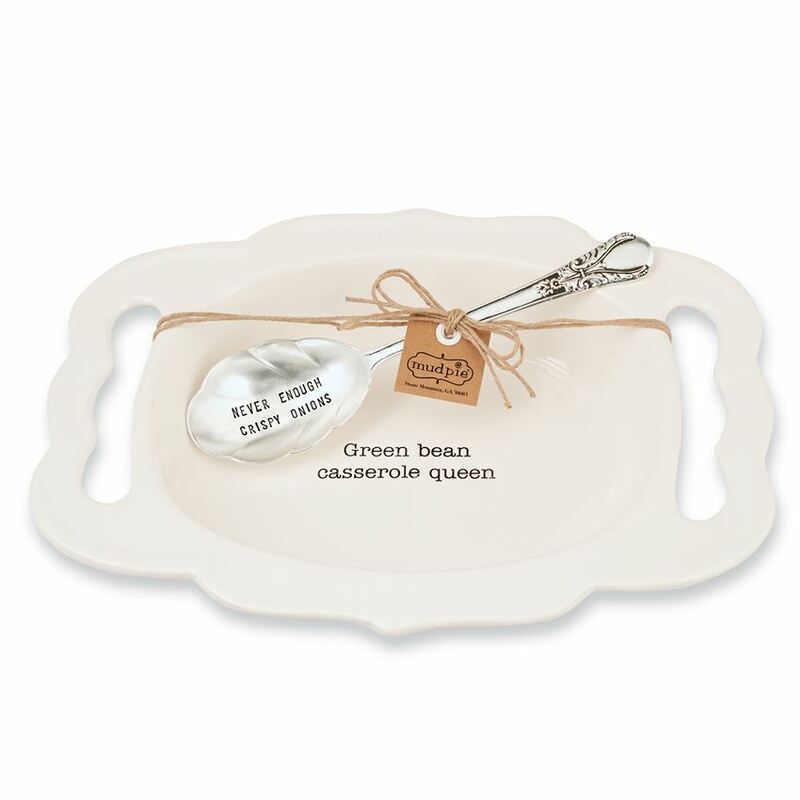 Ceramic Baking Dish features “Green bean casserole queen” sentiment, in mold handles, scalloped edge and vintage style stamped "Never enough crispy onions" silver plate spoon. 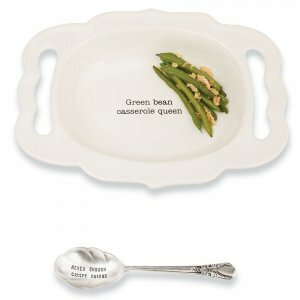 Dimensions: Baker 9 1/2" x 13" | Spoon 9"